A review into sickness absence, announced today as part of the Government’s welfare reforms, has been welcomed by business groups. 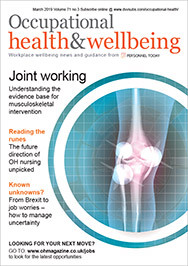 Personnel Today revealed exclusively last week that the Government would be launching a review into sickness absence, led by Dame Carol Black, the Government’s national director for health and work and a former president of the Royal College of Physicians, and David Frost, director-general of the British Chambers of Commerce. The review, confirmed by the Government today, will consider whether or not, with the right help and support, more people suffering from ill health could stay in some form of work. Business groups, including the Chartered Institute of Personnel and Development (CIPD) and the CBI, have welcomed the announcement. Ben Willmott, senior public policy adviser for the CIPD, commented: “The Prime Minister is absolutely right when he says that a short spell of sickness can far too easily become a gradual slide into a lifetime of benefit dependency, and we welcome the weight he is throwing behind efforts to solve this seemingly intractable problem. Willmott added that it would be useful for the review to look at encouraging early intervention and referral to specialist support such as counselling or physiotherapy services. The CBI’s chief policy director, Katja Hall, echoed the CIPD’s comments, explaining that employers want to help those who are genuinely sick to get back into the workplace. “With 180 million working days lost at a cost of £17 billion per year, long-term sickness remains a thorn in the side of employers, especially for smaller firms,” she said. The review will form part of the Government’s welfare reforms, which aim to ensure that people in work are better off than those who are unemployed. Measures include introducing a universal credit to “make work pay”, changes to disability living allowance, benefit caps linked to average weekly earnings and tougher rules on fraudulent benefit claims. Further guidance for employers on sick pay and sickness absence is available from XpertHR.